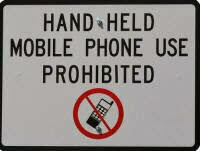 Using a hand held device while Driving is Unacceptable and should be Illegal. National data reports that cell phone use while driving leads to 1.6 million crashes each year; which is one in four vehicle crashes in the U.S. are caused by someone texting and driving. 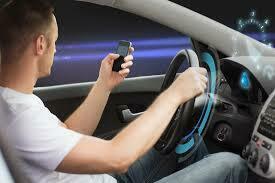 Texting while driving is currently enforced as a secondary offense in Florida. That means drivers can only be cited if they are stopped for other infractions and the fine for texting while driving in Florida is only $20. Cyclists need Florida to ban texting while driving, and the use of any hand held device while driving to be a primary offense. Representative Toledo has filed House Bill 107 for the upcoming legislative session. Her bill bans texting, as well as, the act of holding a cell phone, while driving, making it a primary offense. A companion bill, Senate Bill 76, has been filed in the Senate by Sen. Wilton Simpson of Trilby. Use of Wireless Communications Devices while Driving; Revises short title & legislative intent; prohibits person from operating motor vehicle while using wireless communications device for purpose of nonvoice or voice interpersonal communication; redefines term "wireless communications device" to include voice communications; requires deposit of fines into Emergency Medical Services Trust Fund; removes provision requiring that enforcement be accomplished only as secondary action. Use of Wireless Communications Devices While Driving; Creating the "Florida Ban on Wireless Communications Devices While Driving Law"; prohibiting a person from operating a motor vehicle while listening or talking on a wireless communications device for the purpose of voice interpersonal communication; deleting a provision requiring that enforcement of this section be accomplished only as a secondary action, etc. The Florida Bicycle Association is cyclists voice and strongly supports these Bills. These bills are critical and need to be passed; not only for all vehicles on the road, but especially the vulnerable users of roads, like cyclists. To have a grand effect on getting these bills passed, representatives want to see by numbers how many people support and are effected by the use hand held devices while driving. You can join The Florida Bike Association (FBA; floridabicycle.org) for only $25.00 individual or $35.00 for a family a year. With the show of a large membership when the FBA go to meet with congress in Tallahassee they can show BIG numbers of cyclists in the State of Florida. This is an issue of critical importance to cyclists. I urge you to join those already on board. Let's get a success!